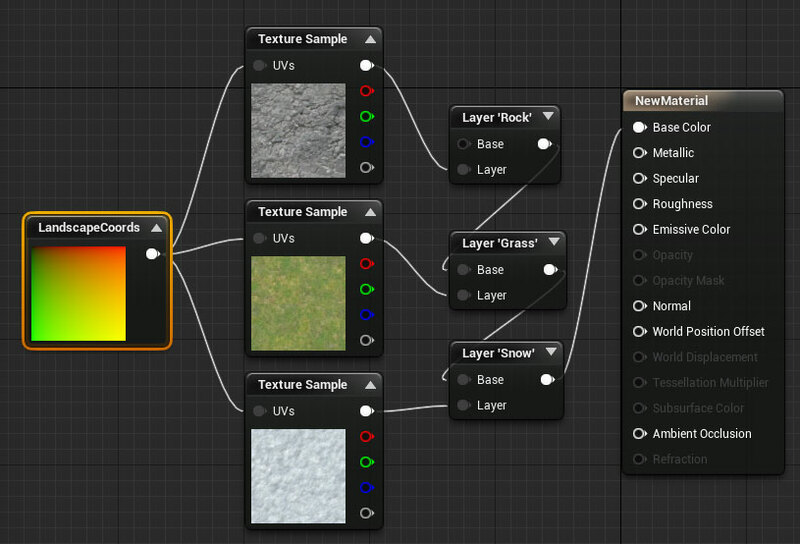 So, here is a little tutorial on how to use weightmaps to texture your landscape. It assumes that you have read and understood the documentation about landscapes. This tutorial requires you to have a heightmap and the associated weightmaps. If don't have a finished terrain, have a look at TerreSculptor or World Machine to create them. 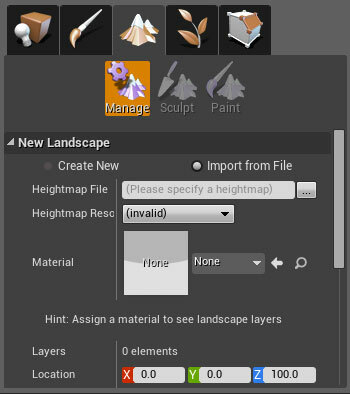 While this document is using a non tiled terrain component, it should be noted that given the current version of Terresculptor is Alpha ( I've had no problems with it myself ) that it currently does not support exporting tiled terrains , which UE4 supports. For this tutorial I am going to use a 16-Bit RAW format for the heightmap and 8-Bit PNG files for the weightmaps. Select your heightmap file click import. In the next step we have to create a material for the landscape. 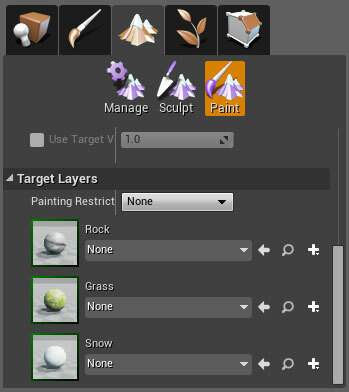 We need a seperate layer for each weightmap we have. 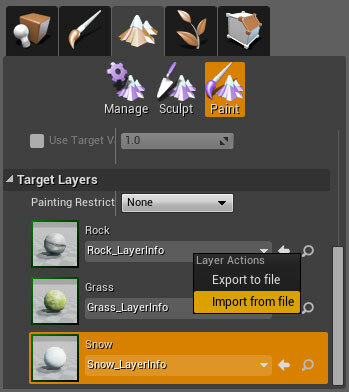 The image below is showing a simple Landscape texture with three layers (snow, rock, grass). Save the material and apply it to the Landscape. Choose your heightmap and repeat this step for all your layers. And that's it. Your layers should now be imported and the terrain should be textured accordingly.